Welcome to my Folk Art Doll dreamscape. Here it's all about FUNKY!! Have any of us really grown out of playing with paper dolls? 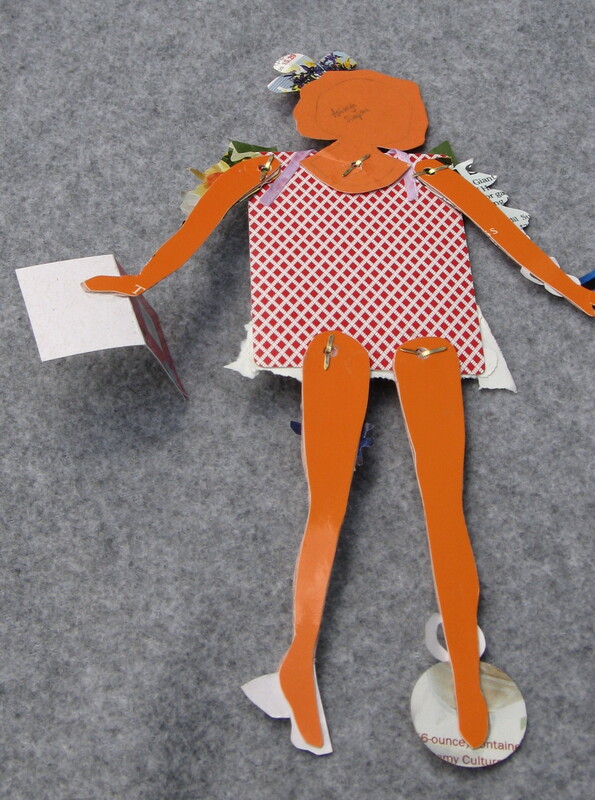 paper dolls, color them, and carefully cut them out. 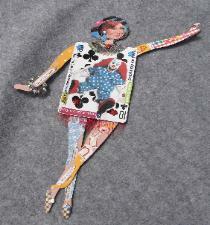 Here I offer my paper folk art dolls to share with you. Each Folk Art Doll is unique. 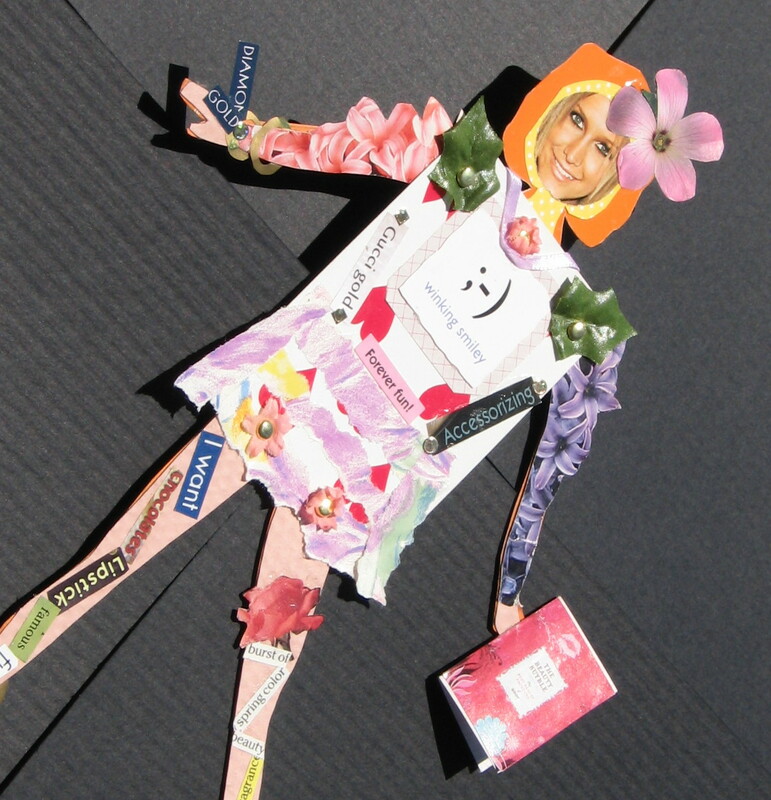 recycled stickers, ribbon bits and much more. and a little bit of my heart invested into it. so you can pose them in many fun and funky ways! in a simple wood frame as a wall accent. Group 3 - 5 together! 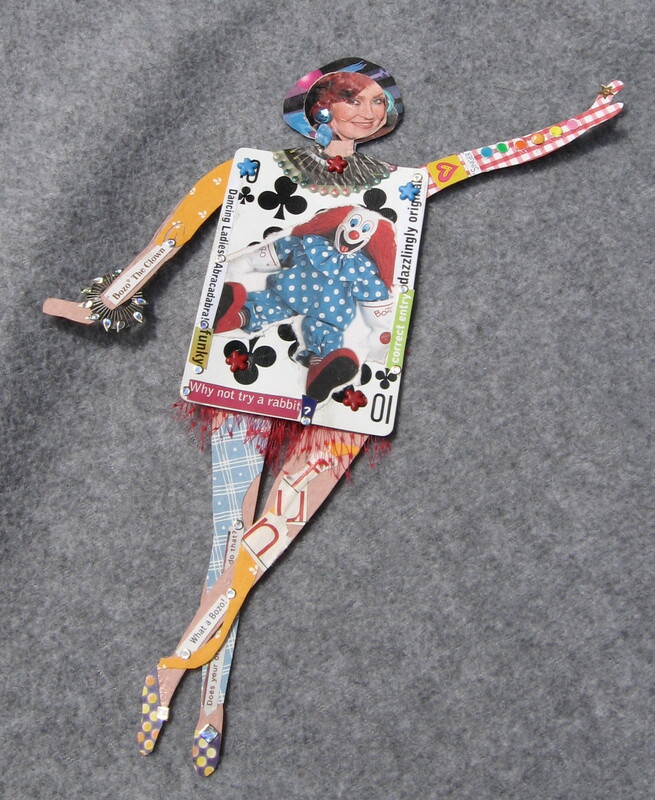 hang up a Folk Art Doll on a cork board! Get Funky and think up some ideas of your own! who wants the fame of her lil' ol' sis. More Computer Cuties coming soon! More JJPals in the upcoming weeks! glitter, tags, silk flowers, shaped brads and more!